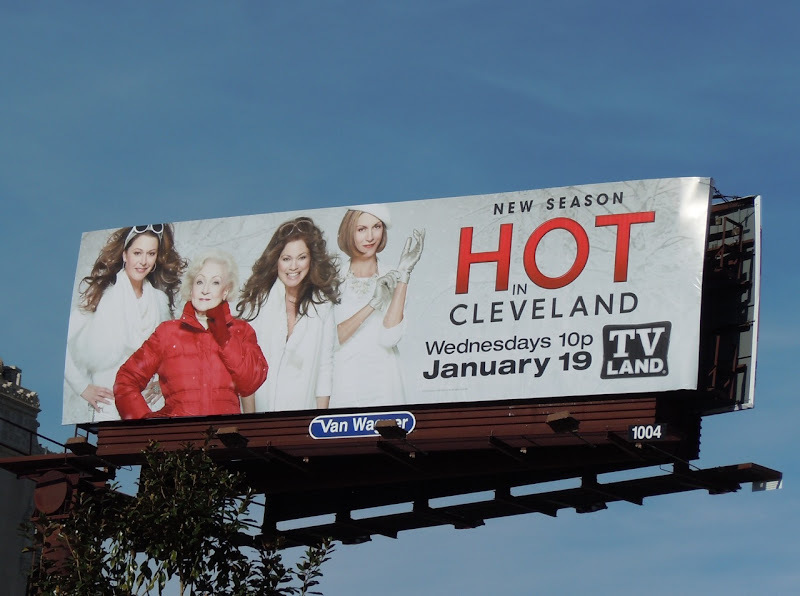 Don't you just love this suitably festive billboard for the second season of the hit sitcom Hot in Cleveland. 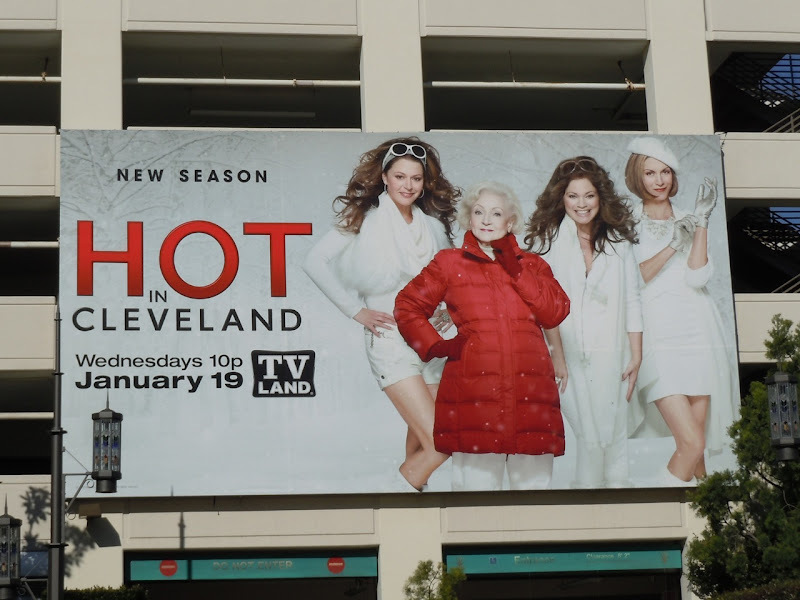 Jane Leeves, Wendie Malick, Valerie Bertinelli and one of the busiest ladies in television and film, Betty White, brighten up L.A.'s skyline in their wintery advert. 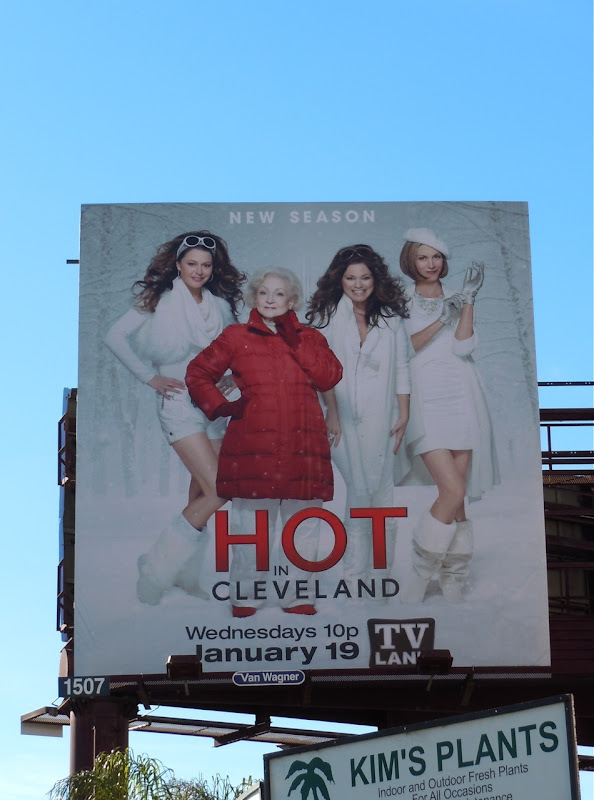 This fun television billboard was photographed near Hollywood and Highland in L.A. on December 24, 2010. UPDATED: Check out this full body billboard of the cast in all their glory along La Brea Avenue.